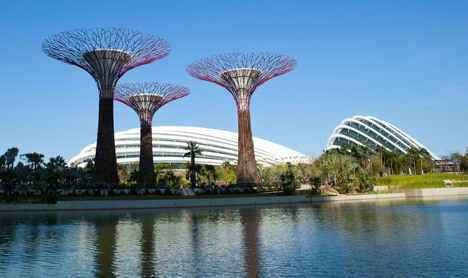 World Architecture Festival 2012: the Gardens by the Bay tropical garden in Singapore has been awarded the World Building of the Year prize at the World Architecture Festival in Singapore. Officially the award was given to architects Wilkinson Eyre for the cooled conservatories, but at the ceremony director Paul Finch explained that they wanted to recognise the entire project team, which includes landscape architects Grant Associates and engineers Atelier One and Atelier Ten. 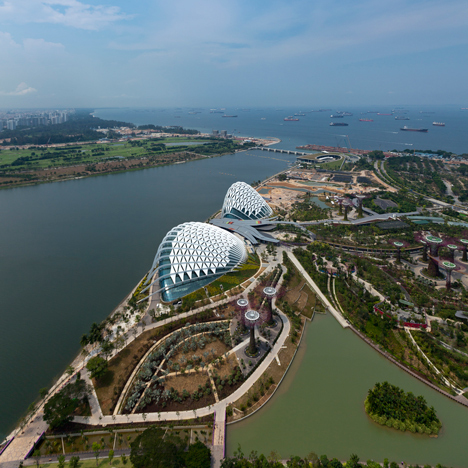 The enormous garden is the largest and first to complete of three gardens at the 101-hectare site beside the marina in downtown Singapore. 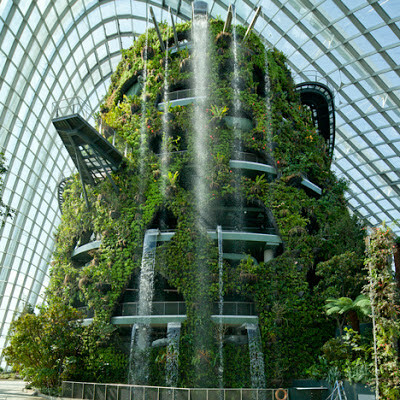 The two shell-shaped conservatories within the garden are the largest climate-controlled greenhouses in the world. 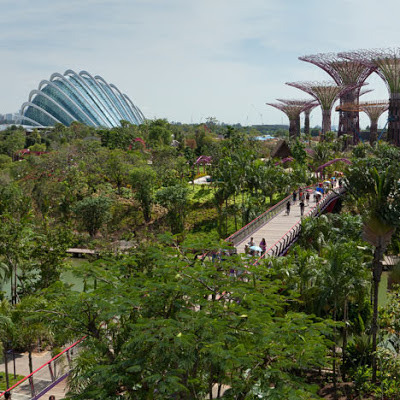 One accommodates flowers from Mediterranean regions, while the other is filled with tropical plants and a 30-metre-high man-made waterfall. 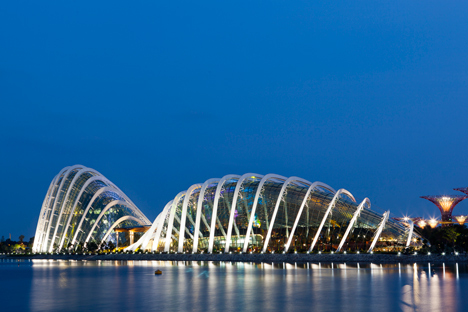 Read more about the project in our earlier story. We’ve also announced winners for Future Project of the Year and Landscape of the Year, as well as all the category winners from day one and day two. Dezeen is media partner for the World Architecture Festival, which is taking place at the Marina Bay Sands hotel and conference centre right next to the winning Gardens by the Bay. You can follow all our coverage of the event here, including a series of movies we filmed with programme director Paul Finch.